Last Friday, Summer Session 1 students enrolled in Livability in the Modern City got an up-close-and-personal look at Copenhagen through the wheels of a true Dane. 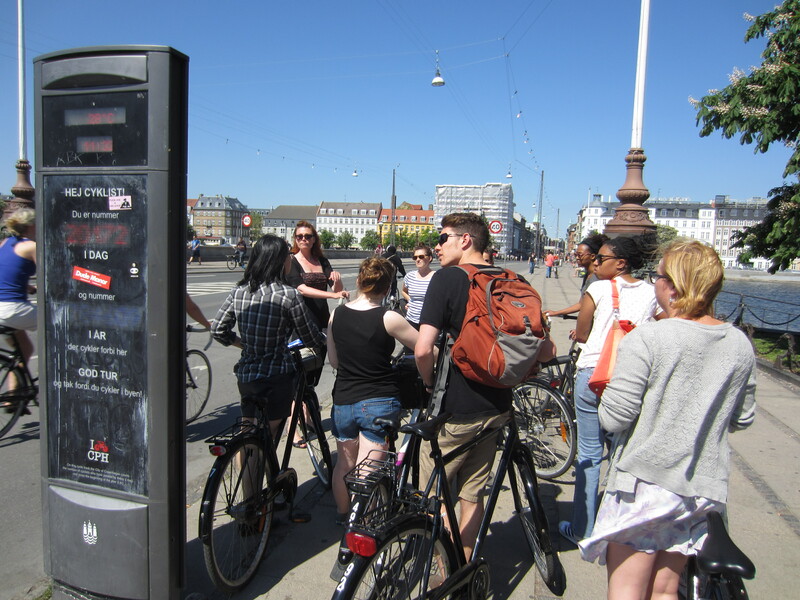 Every semester, faculty Bianca Hermansen leads her students in a cycling field study to observe Copenhagen’s urban spaces firsthand. For the past week and half, the course has closely examined urban development, and this was the opportunity to see it in action. She may be wearing heels – but Bianca does not take shortcuts (see the map above for proof!). Together, they biked in a pack from DIS through Nørreport station, past the lakes, and to Nørrebro – where they stopped at each notable park, side street, pedestrian square, and car route, to evaluate and discuss. 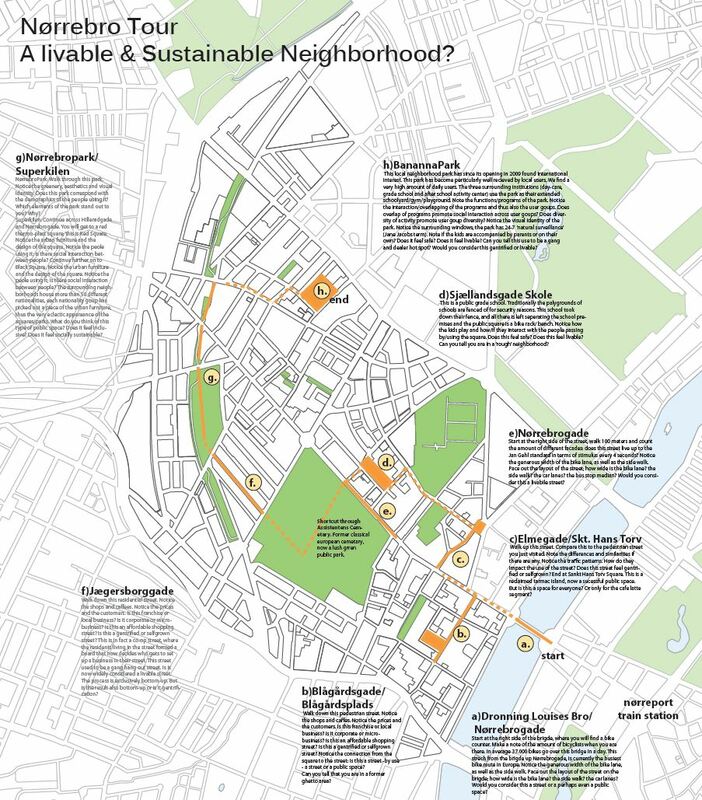 Their goal was to find out how spaces in Copenhagen are planned, and how these plans influence the way the space is used. This was a chance to explore the concepts they’ve discussed in class, with Copenhagen as their laboratory… A not-so-shabby one at that. 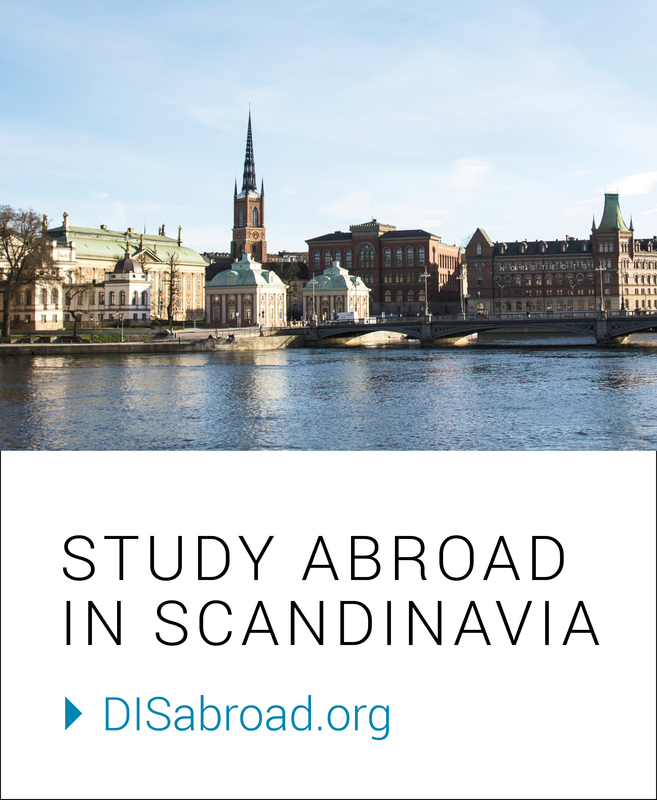 And with Bianca as the leader, a DIS faculty with past experience working in a Danish architecture firm, the students heard about every last tidbit on their destinations in the area. 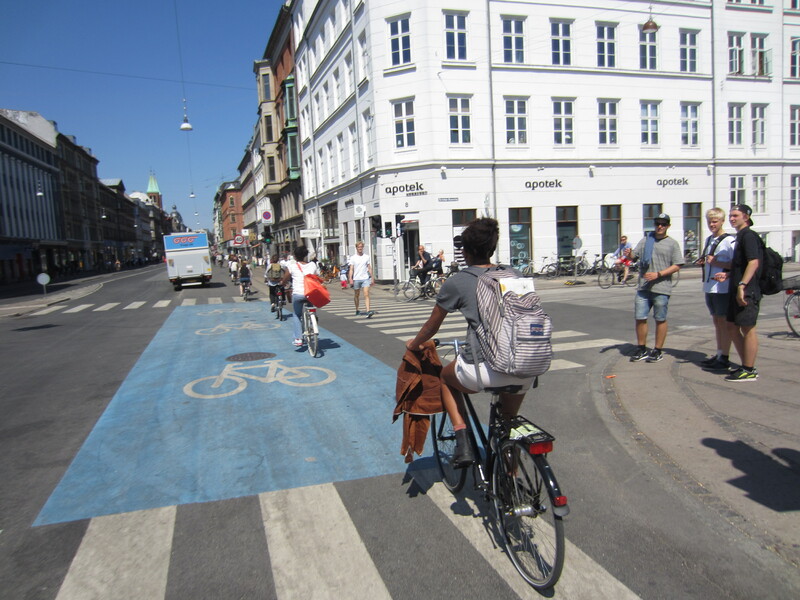 The take home message of the bike-ride: bike lanes are allotted more space than the cars’, walking streets are determined by the Danes themselves, and car-dominated streets change people-to-people interactions. Last but certainly not least, some advice straight from Bianca: if you find yourself by the lakes on the Nørrebrogade bridge, park your bike, and sit yourself down on a bench. Pick out the bike of your dreams, amongst the million!